Interest in Wilderness Survival Leads Young RMC Man into Danger » “If you’re ever attacked by a black bear, fight back as hard as you can,” his grandfather told him as a youngster. Little did he know how appropriate that advice would be the summer of his 19th year. Dylan McWilliams is an extraordinary young man – one out of 893 quadrillion, according to National Geographic magazine. Within the last three years, he has been bitten by a rattlesnake, dragged by a bear, and bitten by a shark. How in the world could all this happen to one human being? “I think it’s just ‘cause I’m out in nature so much more than anyone else,” he responds simply. His first attack happened in the fall of 2015 while hiking at night in Moab, Utah. He thought he had kicked a cactus, but looking down, he saw fang marks on his leg. Survivalist friends had told him that 60 percent of snakebites are dry bites, so he decided to wait ten minutes to see if any symptoms appeared. Ten minutes later, without symptoms, he chalked it up to a dry bite. But he didn’t get away Scott free. Over the following couple days, he felt a bit sick and vomited several times. Still, it could have been worse. Working at Glacier View Ranch last summer as a primitive skills instructor, Dylan was camping in the open with other staff when he awoke around 4 o’clock in the morning to a crunching sound and realized that a bear had wrapped his mouth around his head and was dragging him from his sleeping bag. His instincts responded exactly according to his grandfather’s instructions. He fought back, punching the bear in the nose and poking his eyes as hard as he could. The bear dropped him and other GVR staff, awakened by the noise, made enough noise of their own to scare him off. Dylan received nine staples in his head, a badge of honor for this outdoorsman. Just last month while body boarding off Shipwreck Beach on Kauai, Dylan faced another attack, this time by what he believes was a tiger shark. He had already caught a wave and paddled back out on the surfboard when something hit his leg. He saw blood in the water and a shark underneath. Kicking at the 6-8 foot shark, he paddled as fast as he could toward shore where a bystander called paramedics. He received seven stitches. “This time felt like the worst, Dylan said. “It was the scary part of paddling back in,” he explained. Interviewed by more than 100 news sources from all over the world, including Jimmy Kimmel Live, Good Morning Britain, and Studio London, as well as news outlets in South Africa, Australia, New Zealand, Russia, Germany, South America and Hungary, to name a few, Dylan says, “I didn’t really want all the publicity, but it’s helped me.” He believes it has given him a larger platform for speaking about God, yet whenever he expresses his belief that he wouldn’t have made it “unless God had a plan” for his life, he finds that the newscasters edit that part out. Recently contacted by the Discovery Channel, he was flown to California to explore what might develop. Although Dylan’s not 100 percent sure where this will go, he knows the Discovery Channel would like to do a TV show with him. A call to the Discovery Channel went unanswered. As a child, Dylan’s grandfather encouraged an interest in nature. During this time, he also developed an interest in American history, especially the characters of Daniel Boone and Davey Crockett. 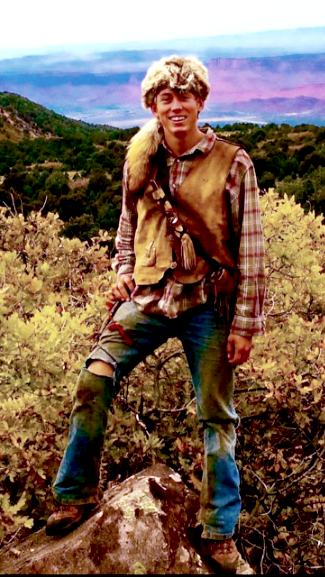 Admiring the way they lived, he went into the woods to practice survival skills, learning much through his experiences and taking survival courses each year he attended Daystar Academy in Utah. 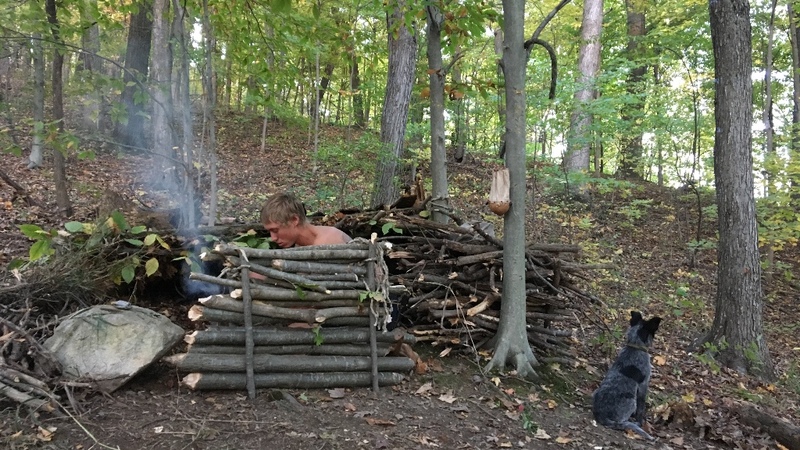 He loves to go out into the woods to live in a primitive fashion, making his own soap from animal fat and lye from his campfires. He makes candles, also from animal fat, clothing from animal skins, shelter from whatever materials are available, and preserves food. The ability to survive by his own wits is what thrills him. With his seven-month-old blue heeler puppy Apache by his side, Dylan has traveled to Georgia, South Carolina, Colorado and Wyoming. They plan to go to the Appalachian Mountains in the fall to hike the North Carolina portion of the Appalachian Trail and live in the woods. Dylan says he will keep a journal and video the experience in order to share his knowledge with others. His long-range plan is to become a deputy sheriff and to teach wilderness survival. Abundant Blessings Committee Brainstorms New Approaches to Church Stewardship » A dialogue to address stewardship issues and create a program which would be shared with church members in the Rocky Mountain Conference began at the first meeting of the Abundant Blessing Committee May 24 in Denver. Begun after on a request made at the 2017 Constituency Meeting, the committee will examine ways to enhance the giving of tithes by church members among all age groups and will meet twice a year. “The committee would function as a positive tool to educate and encourage our members in their stewardship journey,” said George Crumley, VP for Finance and Abundant Blessing Committee chair. The ministry of our church relies on such funding from tithes and offerings. 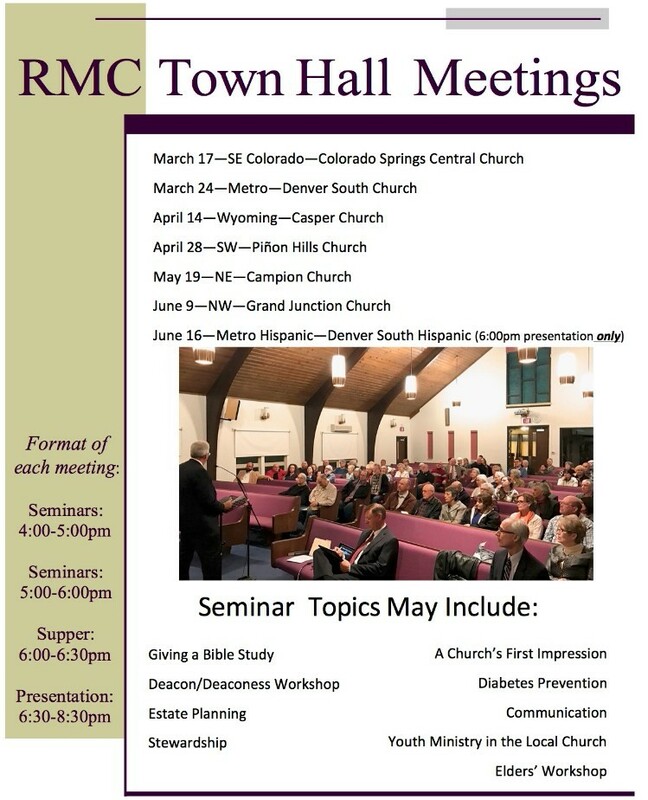 Made up of ten members, lay people, pastors and conference office employees, the committee discussed the flow of tithe within the Rocky Mountain Conference and how much is being sent to higher organizations such as, Mid America Union, North American Division and the General Conference. Committee members are working to find a clear message that conveys the mission the Abundant Blessing Committee hopes to accomplish. “The dialogue of this committee will continue via e-mail as we seek to refine ideas into something that can be a blessing for our members throughout the conference,” Crumley commented. The committee will hold its second meeting in November. 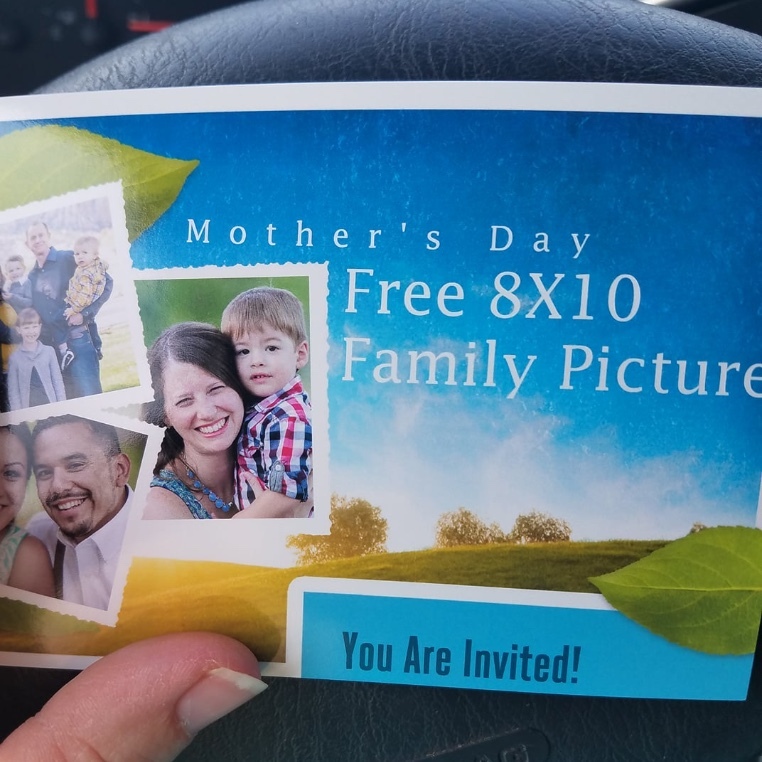 Wyoming Church Reaches Large Community Audience Through Facebook » To advertise their Mother’s Day sermon, members of the Gillette, Wyoming Church handed out 3x5 cards to almost 400 neighbors with the offer of a free Mother’s Day portrait. On Mother’s Day Sabbath, 6 or 7 people visited the church to hear the sermon and get the free portrait. While that’s a good number of visitors for a church with 79 members on the books, something even more astounding happened. At the church board meeting, their marketing person said she had spent money "without authorization”. In order to boost the Mother’s Day advertisement she normally puts on Facebook, she spent $15 and clicked on the “Boost” button. Not knowing exactly what would happen, she listed “Christian,” “Bible,” and “religion” as magnet words for “people in the area”. When she checked Facebook after the sermon, 363 people had watched it. Not much more than a week or so later, 1200 had watched it. Having gone“live” on Facebook a year ago, they had 100-some people following hem from the first day. Afters its beginning, Gillette pastor Chuck Gadway received messages from people asking to be put on the church’s prayer list. “You’re my pastor,” they said, even though the messages came from places like India, Utah, Texas, Florida and any number of places. While in Florida to do the sermon for his father’s memorial service, a group of people told Gadway they listen to him every week, having been introduced to him on Facebook by his father. "We think of you as our pastor," they said. “When I get up to speak on Sabbath, I’m not speaking to 50 or 60 people,” Gadway explains. “There’s a whole congregation out there that I try to recognize”. He’s intentional about using names from his online listeners and making sure they know he’s speaking to them, too. One week, a glitch prevented them posting the sermon video. “Where’s the video?” one man asked several times. “This is my church. You’re my pastor. I need this video.” He considers himself a Seventh-day Adventist Gadway explains. Members are working to replicate this experience in each of Gadway’s five churches. Plans are in the works for a Father’s Day barbecue in Gillette, which will be advertised in the same way as the Mother’s Day sermon. Gadway is preparing his members for an influx of people into the church. “If they start coming, are we prepared?” he asks them. His churches have grown by 49 baptisms in the two years Gadway has been pastoring in Wyoming. The 258 members in his district of churches could grow dramatically – all due to a providential accident that cost them $15. Mike Goebel Named CEO of Parker Adventist Hospital » From the office of Ken Bacon, president of South Denver Group and Chair of Parker Adventist Hospital Board comes the announcement that Mike Goebel has been named CEO of Parker Adventist Hospital. Having previously served as Chief Operating Officer for Littleton Adventist Hospital (2006-2010), Goebel will begin his new role on June 5. He is replacing Sam Huenergardt who recently moved to the Kansas City area to take on the role of CEO for Shawnee Mission Health. “Mike is a dynamic and results-oriented leader with more than 25 years of robust senior leadership experience,” says Bacon. Most recently, Goebel served as CEO of Adventist Medical Center, Hinsdale and Adventist Medical Center, La Grange, Illinois. “We look forward to Mike’s passion and expertist to continue driving Parker Adventist to be a physician facing, top performing hospital,” Bacon says. Wyoming Camp Meeting Update » Multiple dates have been announced for the Wyoming Camp Meeting, which requires clarification. The 2018 Wyoming Camp Meeting begins Tuesday night July 17 and continues through July 21. Mid-America Ministerial Director, Mic Thurber will be the featured speaker. Public Evangelism Service » Agape H. Seventh-day-Adventist Church is hosting a public evangelism service. May 26-June 16, excluding Mondays and Wednesdays, with Evangelist Jonathas Henry speaking. Gifts, bible studies, songs, and intercession prayers will be included. This event will be held at 14190 E. Jewell Ave. Unit #3 Aurora, CO 80012. For information and transportation called elders at 720-472-8138 or 720-251-0516. Hispanic Prayer Training » Will begin June 10 from 9:15-11:45am. Lunch will be provided. The event will take place at the conference office. All prayer coordinators and others from our Hispanic congregations and those interested in deepening their walk with Jesus in prayer are invited! Campion Academy » Campion's Student Association (SA) Picnic and Pops Concert will be held May 20 at North Lake Park at Lake Loveland. Ed Gallagher held many positions in the Colorado,Wyoming and Eastern Slope Seventh-day Adventist churches, schools, and hospitals. Gallagher passed away in New Zealand in December 2017.